Like most people, I’m sure you’re absolutely stumped on what to get the caravanner or camper in your life. It might seem simple, but it’s much harder than it looks. Lucky for you, this here lifelong adventurer known exactly what’s on every caravanner’s wish list. So next time you’re doing some Christmas or birthday shopping for the outdoor lover in your life, here are my top gift ideas for Caravanners. What better way to tell someone you love them than to do their laundry for life? Well, not literally, but by getting them something to help with this arduous task on the go. I’ll be honest with you – even with those massive, expensive models, caravans are still small mobile homes. So naturally, space is at a premium. 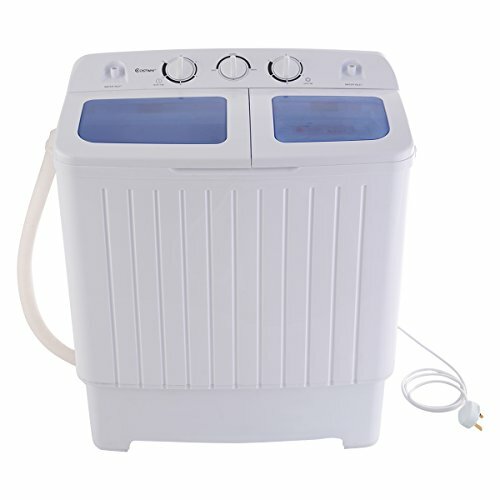 This Mini Twin Tub washing machine from Costway is the ideal gift for a family of caravanners to help ease the load (pun intended) no matter where they are. Thanks to its lightweight and highly compact dimensions, this washer easily fits in closets, bathrooms, and small spaces. And the fact that it can handle a 5 Kg load with a dedicated washer and spin dryer makes it as practical as it is space saving. C’mon, what could be funnier than a gift that your loved ones could literally crap all over? Unlike houses, caravans and trailers don’t often have all the perks and luxuries of a modern home. This includes having to limit your energy consumption as much as possible if you’re lucky enough to have electricity in the first place. 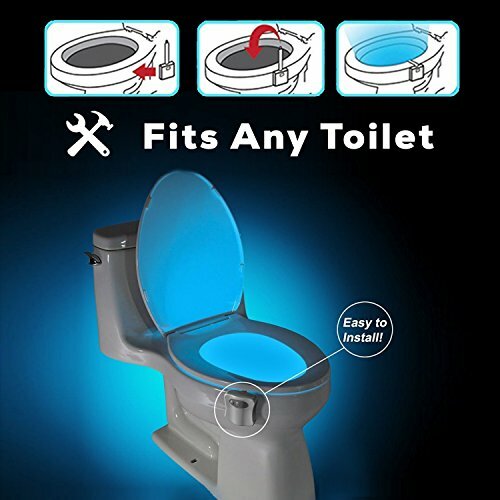 This toilet bowl night light makes the perfect gift for caravenners, especially if they have kids along for the ride. The vibrant colourful light makes the trip to the loo more fun for the kids and prevents sleep interruption in the limited space. The light activates automatically when you approach and can be set to colours such as yellow, blue, red, purple, pink, green, or white. It’s safe to say that when you’re out on the road, you can expect a wide range of smells and odours to constantly hit you nostrils. And having pets in confined spaces such as trailers and caravans doesn’t really help the situation much. Of course, you can’t suggest that your pals leave their pets behind, they’re part of the family too. Instead, why not get your travelling friends something to help keep the air fresher? 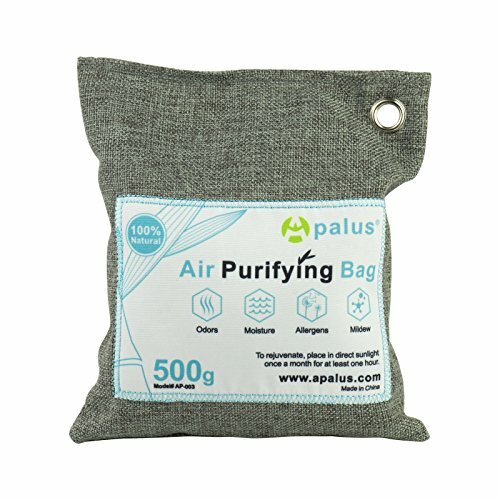 This bag of activated charcoal air freshener is an easy and super convenient way to keep the environment fresh, dry, and free from foul odours. Just pop it in closets, trailers, cars, bathroom sand near the pet area. As I mentioned earlier, most caravans and trailers don’t really have the perks and luxuries that we’re used to at home. This includes life saving central heating and cooling systems. So if you’re out in the summer, you can expect some extremely high temperatures both day and night. So, what better gift to get your caravanning mate than some cooling comfort? 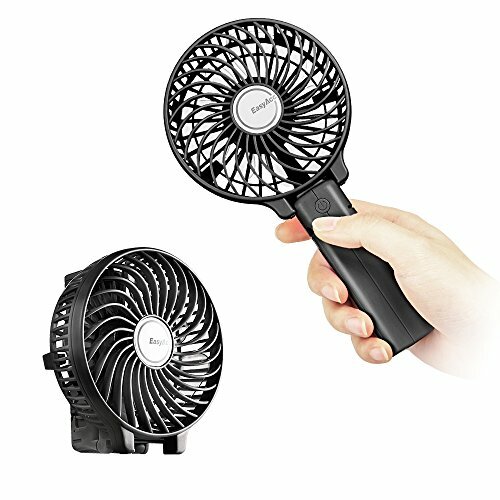 This EasyAcc handheld portable mini fan lets you spread the cooling comfort to anyone around. Whether you’re driving or working, the fan gives a refreshing blast of cool air. The fan uses a rechargeable lithium battery that guarantees 10 hours wireless operation when fully charged. What’s more, the fan can be charged by USB, 5V output adapter, computers, power banks, laptops and other enabled devices. Here’s a simple yet thoughtful gift that ought to put a smile on any adventurer’s face. If you’re looking for a way to add a bit of passion to your loved one’s breakfast, why not immortalize it in the form of a teapot? This way, your caravanning pal and his family can wake up and start their day in a fun way. But apart from being practical, this ceramic caravan tea pot can also be used for decorative purposes. After all, home is home no matter where you are. As long as you have your loved one’s close by, then you’re already home. 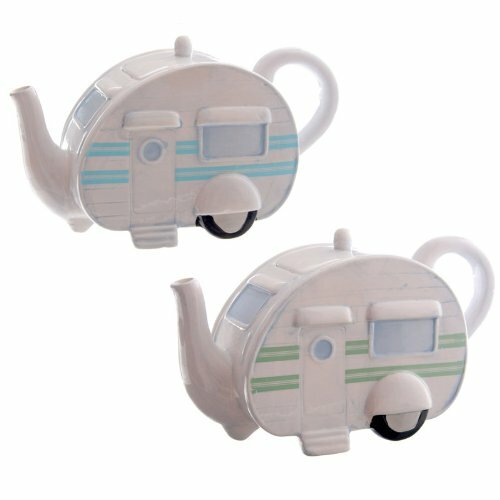 And this here teapot is the perfect gift to make that cosy caravan feel a little more like home.